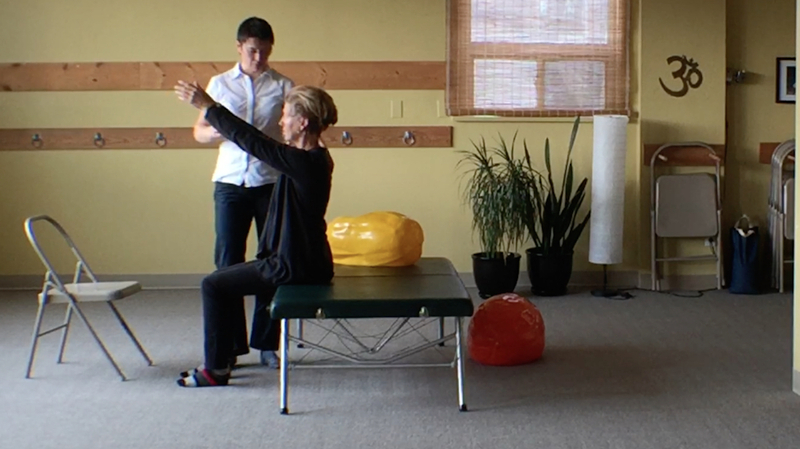 You can schedule private, hands-on movement lessons called Functional IntegrationⓇ lessons. These lessons allow you to receive very specific guidance to assist you with what most interests and/or challenges you. The lessons are tailored to meet your unique needs. Click here to learn more about Functional Integration lessons. Use my online booking calendar to request an appointment. Or contact me directly. 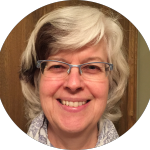 I offer lessons at Sunyata Movement Studio and Prana Yoga Studio both in Winnipeg, MB. Before going to see Gisèle I had extreme pain in my back and legs from sacro-iliac (SI) joint problems and bulging discs. I was at the point where I couldn’t sit for more than 15 minutes, and at night I would wake up every time I had to turn over. There was no position where my back and legs were comfortable – lying down, standing or even moving around was difficult. The tension in my back also caused headaches and neck pain . I was a mess. The pain limited my life and sucked my energy and prevented me from doing the things that I wanted and loved doing. I was exhausted and very discouraged. I had tried physio, yoga, various other treatments and it all seemed to make it worse. Then I tried the Feldenkrais MethodⓇ with Gisèle. Life is so much better since working with Gisèle. My back is a thousand times better. Not only am I able to return to the activities I love like taking my dogs for long walks and gardening, but also more adventurous things like travel, hiking, canoeing and camping. And I’m also so much more optimistic about growing older. I feel like I’ve got my life back and that the future is hopeful. ~Valerie Regehr, Therapist, Winnipeg, MB. 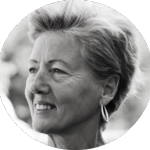 Gisele is a skilled facilitator of learning, and a skilled & experienced FeldenkraisⓇ practitioner. She has a passion and enthusiasm for the work which is infectious. You can join a group class where I verbally guide you through Awareness Through MovementⓇ lessons. Click here to learn more about Awareness Through Movement lessons. Check out my class schedule here and my upcoming workshops here. 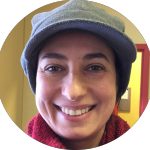 Gisèle is a brilliant teacher: clear, knowledgable, compassionate and light. ~Sandra Stuart, Yoga Teacher, Winnipeg, MB. You can practice on your own schedule through Home Study Programs of Awareness Through Movement lessons that I’ve created for you. These are audio lessons you can stream and/or download so you can do them anywhere, anytime. Check out the Home Study Programs here. “ What makes the Feldenkrais Method so amazing and unique is that it improves one’s movement, posture, breathing, and mind, without telling you or showing you how. Each individual is unique and what works for one person does not always work for another. The Feldenkrais Method helps everyone to wonderfully find their own beautiful, perfectly unique way. ~Indira Rampersad, Massage Therapist, Winnipeg, MB. View the Home Study Programs here.